Elephant Watch Nepal is concerned about the welfare and management of both wild and captive elephants in Nepal. It is high time for the government to address the issue of wild elephants in a serious manner. The Elephant Conservation Action Plan 2010 needs to be implemented to provide a future for the majestic Asian elephant in Nepal and the protection of this flagship species should become a main concern at all levels of society. Wild elephants in Nepal increasingly face habitat loss. Especially in Kailali, Kanchanpur and Banke the forest cover is rapidly decreasing, and with it prime elephant habitat. Human-Elephant is on the increase, with human and elephant deaths on the rise. The fate of the domestic elephant is a different one, but none the less serious. Increasingly, domestic elephants become a money making object, instead of a majestic animal which deserves respect and good care. In the absence of a welfare policy and government monitoring, owners can do with the elephants as they please. 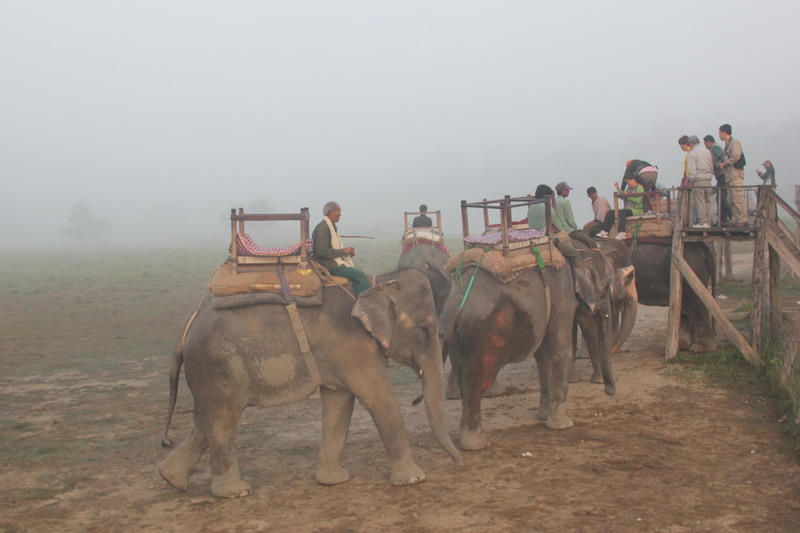 The number of owned elephants has been steadily rising in the past three decades, as a main resource in the safari industry in and around Chitwan National Park. The tourism industry to do a soul searching exercise and create welfare standards for captive elephants. The government needs to introduce a welfare policy and implement strict monitoring into the implementation. Tourists are invited to use their consumer power to demand improved conditions for the elephants.